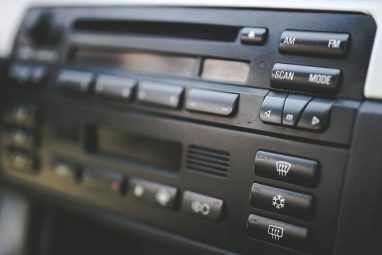 At its core, Internet radio isn’t different from traditional radio – you tune into a station, you listen to the songs that they serve you, and there is no step three. But even though the core might be the same, Internet radio allows a degree of interaction that makes it an evolutionary step above traditional radio. Jango Radio takes advantage of that possibility. Jango Radio has actually been around for a while. It launched in 2007, which comes as a shock to me because I consider myself an avid surfer of the web, yet I’d never heard of it until earlier this year. Probably because it was dwarfed by the success of Pandora Radio 5 Cool Things You Can Do With Pandora Music Radio 5 Cool Things You Can Do With Pandora Music Radio Read More . Still, Jango has been hanging in there and I’m glad it has because I prefer Jango to Pandora. On first glance, you’ll notice that Jango’s homepage is a lot busier and maybe even a bit cluttered compared to Pandora’s simple layout. There’s a lot of stuff that vies for your attention – a quickbar at the top, a central area for current music playback, extra miscellaneous details at the bottom, as well as a number of ads here and there. Overwhelming? Perhaps; but give it a minute and that feeling will pass. In terms of features, I’m more impressed by the variety that Jango has. On one hand, there’s something admirable about Pandora and their sharp-pointed focus, which revolves around their Music Genome Project. Jango, on the other hand, focuses more on the holistic music experience: learning more about the current artist and song, access to lyrics, being able to buy songs, etc. What about regional limitations? Pandora only serves users in the United States, Australia, and New Zealand. Jango, on the other hand, serves users anywhere. As far as I know, Jango does not have any regional limitations at the time of writing this article. Like Pandora, Jango’s main functionality involves the creation of personal stations that are built on a particular artist or song. As the station plays, the playlist will automatically evolve and start including other artists and songs that are similar to the original artist. But while Pandora uses the Music Genome Project to find similar artists, Jango’s algorithms are built on years of user data and the artists that they’ve grouped together. Variety settings. In each Jango station, you can choose from one of three varied levels: most popular, more variety, and most variety. These settings will respectively slim down or broaden the algorithm’s parameters for finding music to play on that station. Artists per station. If you want to further fine tune your music playback, you can manually add and remove different artists to create mixed stations. There is no limit to how many artists you can have per station. Ban artists. There are some artists that will keep popping up on your station even when you don’t want them to – for that, Jango lets you ban artists from stations. Highly convenient. Thumbs Up / Thumbs Down. During the playback of a song, you can give it a Thumbs Up, which will increase the frequency that the particular song shows up for that particular station, or a Thumbs Down, which will ban that one song from the station. Automatic lyrics. If you’re listening to a song with lyrics, Jango will automatically link to the MetroLyrics page for that song. Latest artist tweets. If the artist you’re listening to is active on Twitter, Jango will pull the latest tweets from their page and display them right there in the player. Pictures and videos. Jango maintains a gallery of pictures and videos for most of the artists in their database (most videos are linked to YouTube). It’s a great way to familiarize yourself with potential new artists that you may stumble across. Station search. Jango makes it easy to explore new music by providing you with a list of similar stations to whatever you’re currently listening to, plus the ability to search for other stations that have a particular song in their playlist. Radio Airplay is a three-step process: upload your music to their service, it gets played on various Internet radio stations like Jango, and you receive detailed reports on your music’s playback. The key is that you can specify artists that are similar to your own musical style and your songs will be played to listeners of that genre. How does Jango incorporate this? Sometimes you’ll hear an indie song come up on your Jango playlist. When this happens, you’ll also see a popup that lets you vote on that artist and their song. Was it good? Was it bad? It’s a win-win, really, since listeners can find up-and-coming artists that they’ll like and artists can get more exposure to properly-targeted audiences. What else will you find with Jango Radio? FREE with ads. Jango Radio has no premium service as far as I know. It’s all free and supported by ads (banners on the site and audio ads between songs). The audio ads aren’t annoying, plus they’re infrequent. If you connect your Facebook account to Jango, you’ll only hear one audio ad per day. Unlimited stations. Yep, that’s right. You can create as many stations as you want – even duplicates, though I don’t know why you’d want that. Unlimited skips. A lot of Internet radio services will limit the number of times you can skip per hour, but according to Jango’s website, they don’t. I’ve heard word of mouth claims that Jango implemented limited skips recently, but I’ve yet to run into a skip limit so far. Share stations. If you’ve carefully tuned a station into something amazing, you can always share it with your friends through Facebook or Twitter by clicking the Share link. Android and iOS apps. I’ve written about the Jango Android app Jango Radio: Like Pandora With More Customization & Fewer Ads [Android] Jango Radio: Like Pandora With More Customization & Fewer Ads [Android] Who doesn't love Internet radio? I was a slow adopter when it came to streaming online music, but now I’m a believer and I wouldn't have it any other way. Fortunately, the technology has been... Read More and Joshua has covered the iOS Jango app Listen To Your Favorite Music With Jango Personalized Radio [iPhone] Listen To Your Favorite Music With Jango Personalized Radio [iPhone] Whether you're reading, cleaning, cooking, or hiding dead bodies, music can always help enhance your favorite activities. With the advent of smartphones, this makes it so much easier! (Except the dead bodies part – that's... Read More . Both are simple, straightforward, and just work. One benefit that Pandora has over Jango is its popularity and, by extension, community. With so many Pandora users, it only makes sense that there are more Pandora apps and tools than there would be for Jango, which is a shame because Jango could really do well with a few of its own. 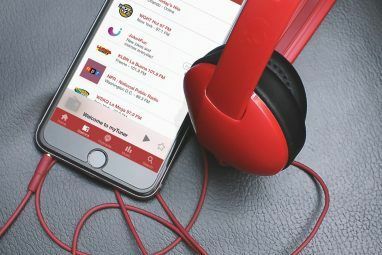 If you want to get started with Internet radio or if you’re finding that Pandora has become a little stale, Jango Radio is a great place to start. They have wide song selections and lot of ways to personalize your listening experience. Worst case scenario, you don’t like it –go back to Pandora. For me, Jango has become my standard. 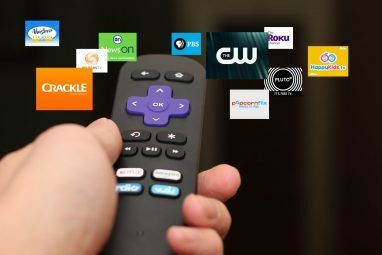 Looking for an Internet radio service where you don’t have to do any work at all? You could try Songza, which has myriad preset playlists that are designed to fit your mood and the time of day. JANGO Has Lost A Lot Of Good Features In The Recent Years. If You Like It Now, Imagine How You Would Love It Way Back When. There Is A WIKIPEDIA Article About It, Too. Jango doesn't pay royalties to artists for use of their songs. That's against the law yet they get away with it. Jango charges artists for airplay. That's called Payola and it's against the law. Jango won't let artists remove their songs. That's against the law. Pandora cries about having to pay the artists whose music they use. If they didn't have that music to use they wouldn't exist. The amount they pay artists is disgusting. Last.fm stalls and delays and will do anything to avoid paying what they have to pay by law. They adjust the scrobbling numbers. Like the other two entities above they are breaking the law and they get away with it. I noticed you mentioned you had some technical issues with Radio Airplay while you were writing this. Would you be able to let me know what those issues were and if they are still present on the site? I'd be more than happy to look into them if they have yet to be resolved. Erin from Radio Airplay support. I just checked Radio Airplay again and it all seems to be working well now. Back when I wrote this article, none of the CSS was loading and a lot of the server-side scripting was buggy. Good to see that it's no longer an issue! Last.fm is a pretty great alternative too. Living in Cyprus I discovered Jango soon after Pandora became US only. It's a great service.